Editors Note: There is an image associated with this release. 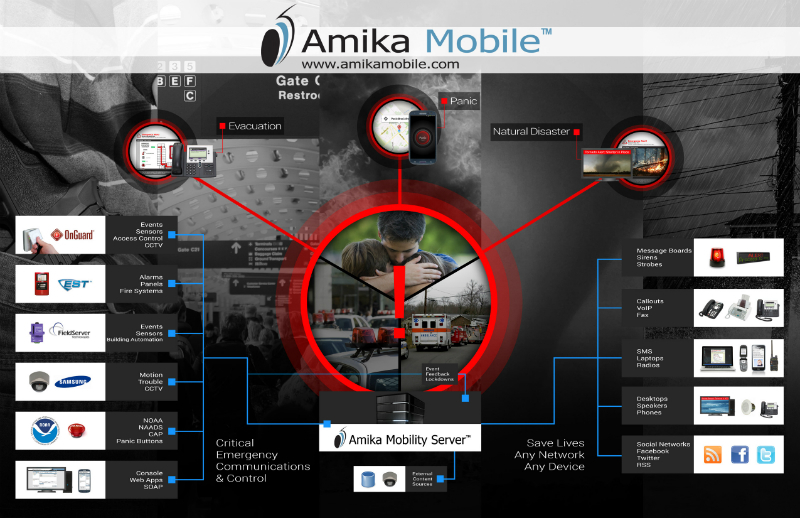 Amika Mobile's award winning platform, the Amika Mobility Server (AMS) which provides critical and emergency communications was selected by the City of Ottawa for their Emergency Operations Center (EOC) with WebEOC from Intermedix. CAE is the prime contractor and is providing systems integration services for the City of Ottawa. "We are excited that the AMS was selected and is now deployed in a hosted environment run by CAE, integrated with the WebEOC incident management system from Intermedix to ensure the City of Ottawa emergency management personnel can provide rapid response in a wide range of critical and emergency situations," said Amika Mobile CEO Dr. Sue Abu-Hakima. Market Analysts Research and Markets estimate the size of the emergency management and incident management market to be $69.47 Billion growing to $93.39 Billion by 2018 at an estimated CAGR of 6%. This market includes integrated EOC and communications solutions such as that adopted by the City of Ottawa. 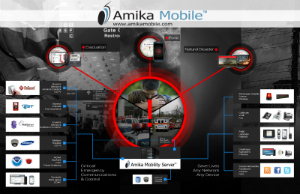 Demonstrations of the AMS critical and emergency capabilities and Amika®Panic for Mobile will be shown at ISC West 2014 in Las Vegas April 2-4 at the Command Center at Partner Booth #18019. WebEOC® is a registered trademark of ESi Acquisition, Inc. Intermedix® is a registered trademark of Intermedix Corporation. Amika Mobile is privately held specializing in critical and emergency communication solutions including mobile panic buttons. AMS is ideal for communities, airports, sports arenas and campuses whose visitors are not always pre-registered in a contacts database. AMS alerts over 20 layers in emergencies including WiFi, SMS, Email, VoIP, PA systems, Message Boards, Twitter, RSS Feeds, Facebook, etc. AMS can trigger lockdowns or alerts based on disparate sensor events from access control, fire panels, cameras, HVAC, etc. AMS monitors local weather in CAP or CAP-CP formats from NOAA, NAAD, etc. Amika Mobile has won over 14 awards and sells products through partners, and OEMs to platform vendors and service providers. See www.amikamobile.com.